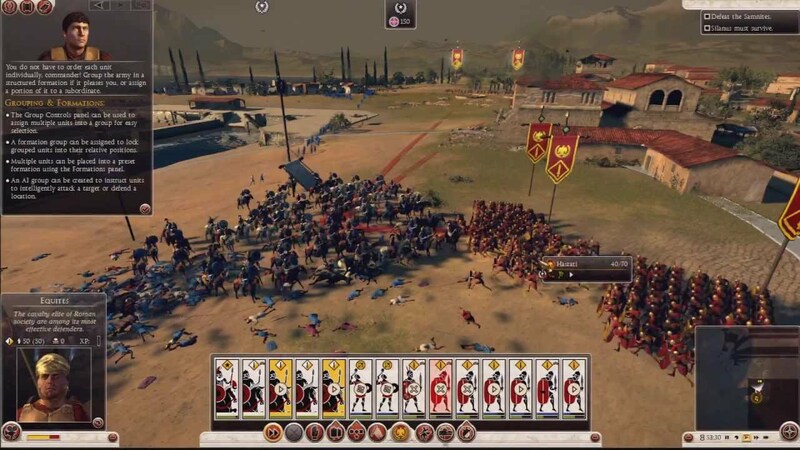 If you are familiar with the Total War series of PC strategy games, then you know it involves a turn-based part which takes place on a map (a bit like the Civilization series) and real time battles that take place whenever your armies clash with those of the enemy. The latest entry in the series was Total War: Rome 2, which unsurprisingly took place during the times of the Roman Empire. It was a sequel to the critically acclaimed Rome: Total War, released way back in 2004 and loved by PC strategy fans everywhere. But Rome 2 was something of a disappointment, to say the least. Reviewer Rich Stanton of the Guardian summed it up nicely when he said: “Rome II feels like an unfinished game” and called the game “a bloated, technically corrupt and unfocused mess.” But the word unfinished is the key one here. The game has been patched no less than 14 (!) times since its release last September, and some of those patches have been quite substantial. With these patches developer Creative Assembly has attempted to fix everything from the excruciating time between turns on the strategic map (you had time to make coffee!) to the AI in the real time battles. By the way, the AI was horribly broken at release – enemy soldiers would charge at your armies like headless chickens, only to retreat at the last minute… and then charge again. The enemy AI wasn’t the best at release… But Creative Assembly has improved things immeasurably since then. So when UK based developer Creative Assembly announced that they would be releasing another update for the game, named the “Emperor Edition” update, I got feelings of déjà vu. The fact that they are including free DLC for owners of the game – a full campaign no less – just smacks of compensation for the mess that the game was at release. If anything, seeing game development continue well after a video game’s release date is a disturbing trend. It also means that the gameplay experience at release was completely different than it is now. A buggy mess was turned into a playable game, but it took Creative Assembly a year to do this. Certainly casual players who tried the game last September will probably be put off any other Creative Assembly title – maybe forever. And given that Rome 2 is one of the few PC exclusive games out there, this whole affair also puts the PC gamer in a bad light. It is true that many PC gamers build their own rigs, and sort out their own hardware and software problems. They are more technically-minded than the average console gamer, that’s for sure. But they also appear willing to pay full price for what was essentially a beta version of a game and then wait for innumerable patches to get the game up to scratch. And given that Rome 2 has sold over 1 million copies, it appears that the average PC gamer enjoys hanging around forums complaining about this and that non-functional feature and commenting on the latest patch as much as playing the game. 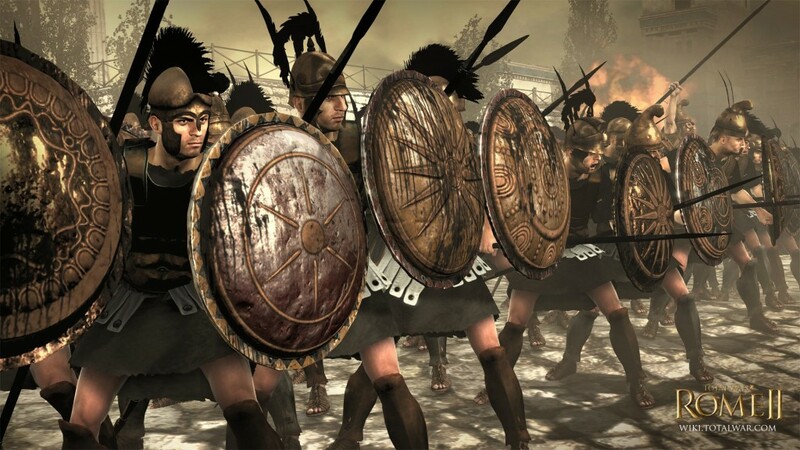 But don’t get me wrong though – I enjoy the Total War games and have been commanding Roman legions since the original Rome: Total War came out. These games are absorbing and rewarding, if you have the time to play them. And regarding the “Emperor Edition” update for Rome 2, it comes with the “Augustus” campaign DLC. Augustus was the first emperor of Rome, and under his tenure the Empire enjoyed an unprecedented period of peace and prosperity. Here’s hoping that this update is also the start of great things to come for Creative Assembly and the Total War series. Note: The “Emperor Edition” update and free DLC for Rome 2 will be available on the 16th of September, 2014.